Cantus is a nine-voice male choir, whose music making has inspired rapturous reviews across the US and beyond. In their latest CD, the men of Cantus borrow a few pages from a variety of hymnbooks. These juxtapositions offer an opportunity to reflect on the changes Americans have seen in their relationship with God and fellowship with each other -- even within the same basic belief system. For example, a handful of tracks feature a style known as "shape-note singing" which flourished in 19th-century America, and continues to thrive in pockets of the South. This tradition birthed many cherished American folk hymns. In its purest form, it can sound rigid and almost non-musical in its matter-of-factness. But if you allow yourself to hear it, there is a spare, crisp, almost harsh beauty to this style. It also speaks to the practicality of our early American church singers -- the special notation is made for easy learning and a singer doesn't need to recognize key signatures with their changing sharps and flats. And the no-frills style of singing was appropriate for folks who led hard-scrabble lives, and for whom displays of emotion were unseemly, if not ungodly. A concurrent thread running through the early church in America was that of the Shakers - who shunned all fleshly indulgences, but had a passion for God that actually set them a-quiver. No surprise then that the music (like their most famous hymn, Simple Gifts) reflects a much more intimate, gentle relationship. Cantus strikes the perfect balance here: subtly intense, heartfelt but not overwrought. The African-American spirituals on this CD are mournful songs about relying on God's comfort throughout this sad, cruel life, and joyful songs about the glory that lies ahead. That the streets up there are paved with gold." The CD also features more modern realizations of spirituality, like Bobby McFerrin's take on the 23rd Psalm, recast as an anthem to his mother, and the Divine Feminine. And fills my heart with songs." Then there's the Cantus arrangement of "There's a Meeting." It's a fantastic example of how early American church music with its full chords and clap-along rhythms became a foundation for the popular music that was to follow. You can hear it: it's just a doo-wop, skip and a jump from the revival tent to the dance hall. 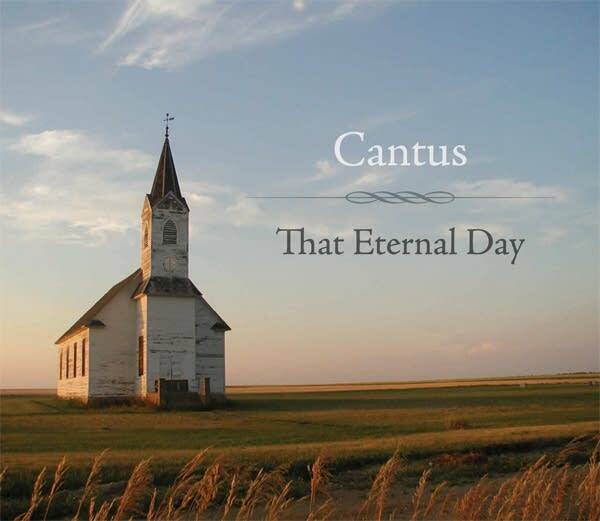 Though many of the songs and hymns on this CD have been re-imagined by Cantus, my favorite track is an unadulterated performance of "E'en So Lord Jesus, Quickly Come" by Paul Manz. Manz starts with the shape of a traditional Lutheran hymn, but infuses it with a gentleness and mysticism that elevates the piece into the realm of "other-worldly." This CD is a sampler of the music that has comforted generations. Regardless of denomination or creed, artfully written music that's beautifully presented and, most importantly, sung together, reinforces the power of fellowship. I love how Cantus flows from raucous to meditative to jubilant, all the while delivering rewarding performances with the utmost respect for the traditions that inspired them.